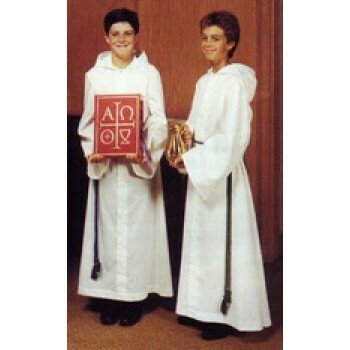 The alb is a type of full-length liturgical vestment that is worn by many different members of the clergy. 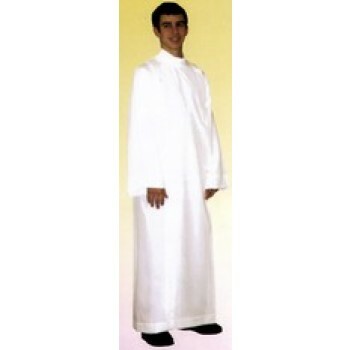 It covers from the neck to the ankle and has long, wide arms that give it a distinctive appearance. 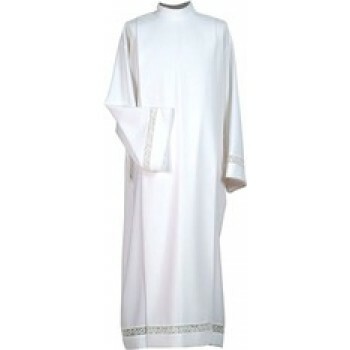 The alb is intended to be loose fitting and to cover most of the wearer's body. 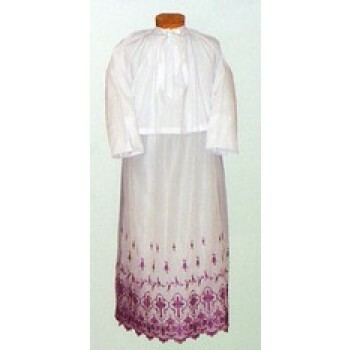 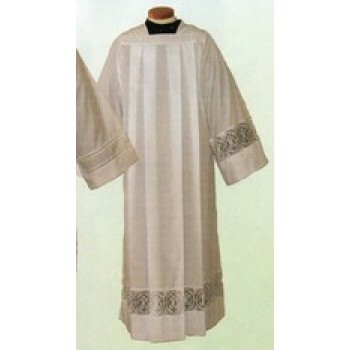 It is typically worn over a cassock or habit during mass and other ceremonies. 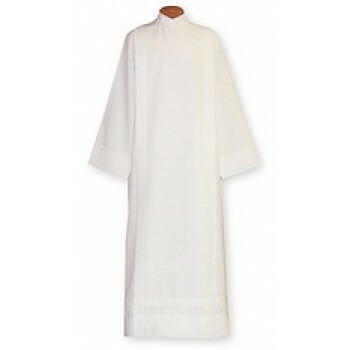 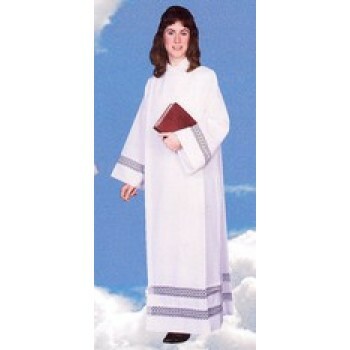 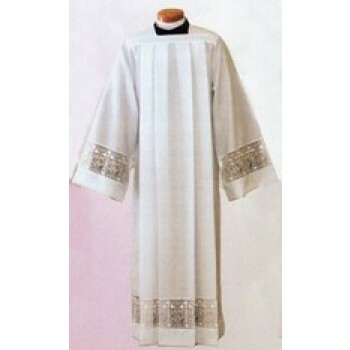 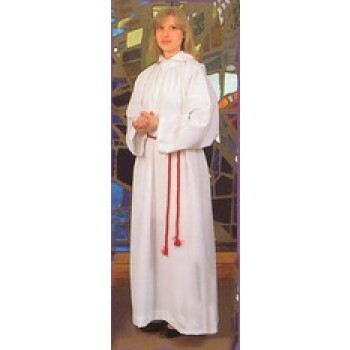 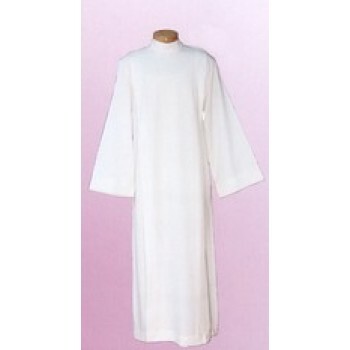 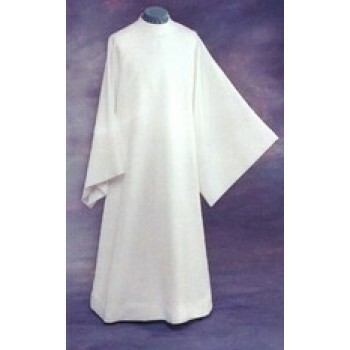 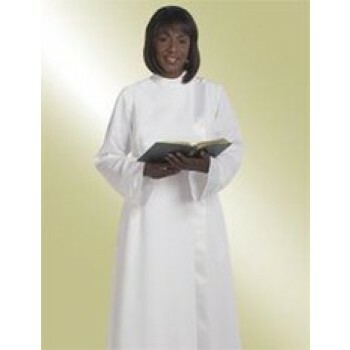 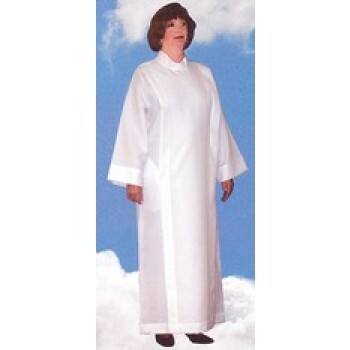 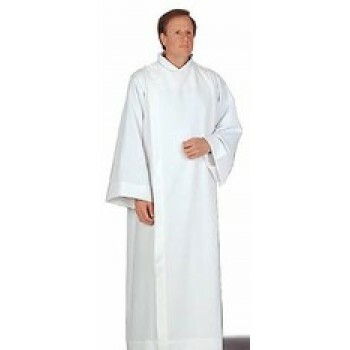 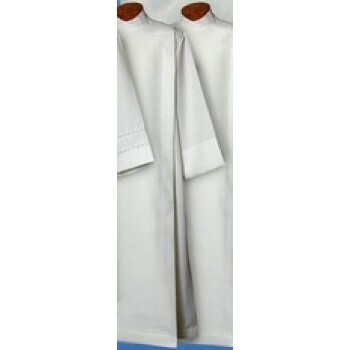 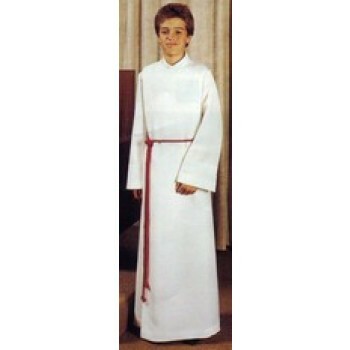 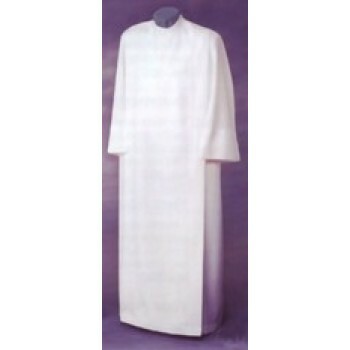 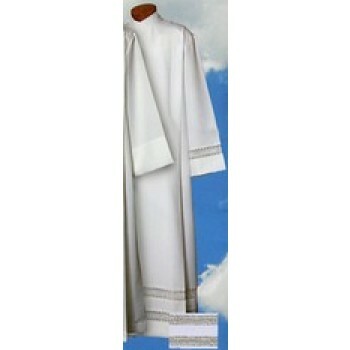 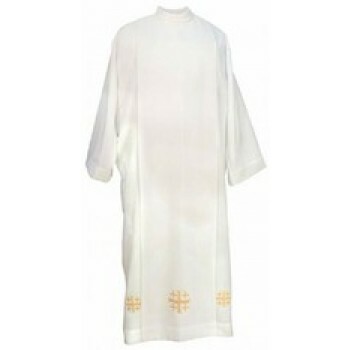 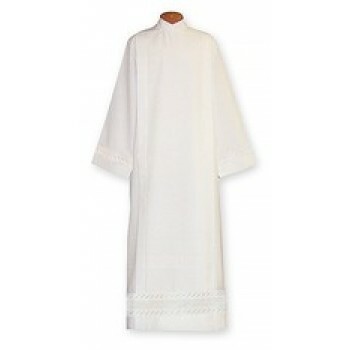 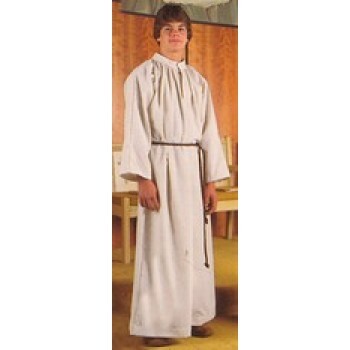 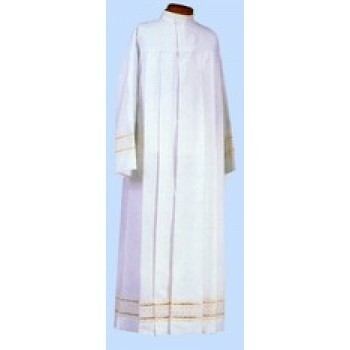 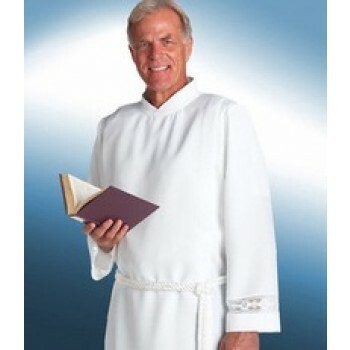 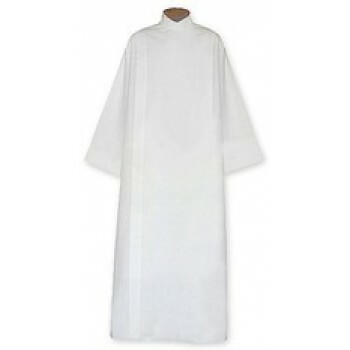 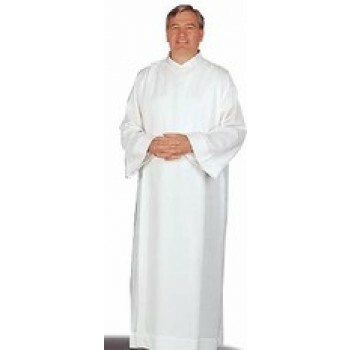 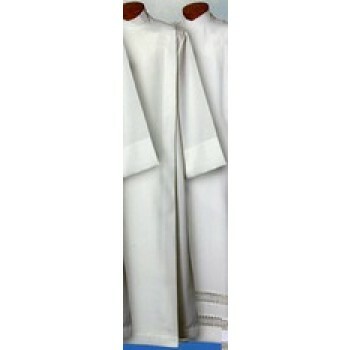 Priest albs are based loosely on the Greco-Roman tunic and are always white to symbolize purity. 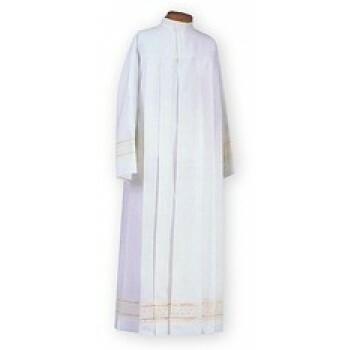 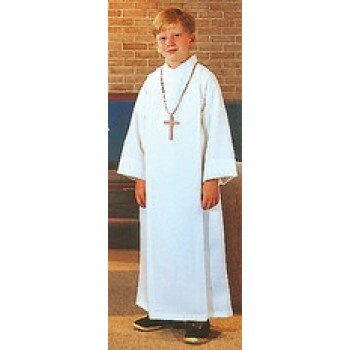 White clergy albs are often adorned with embroidery or other embellishments, particularly along the arms or lower hems. 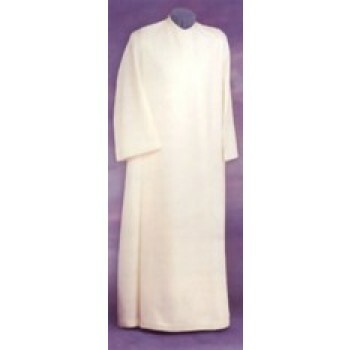 The body of the piece is usually made of a lightweight cotton linen. 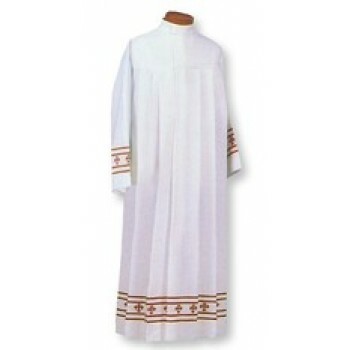 They are worn in most denominations of Christian churches and are worn during most Mass services or ceremonies. 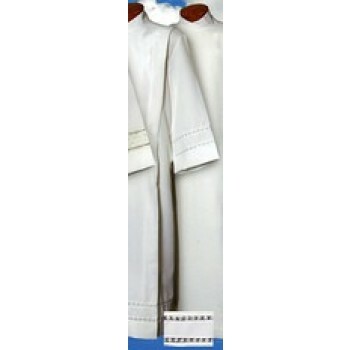 Matthew F. Sheehan carries a large selection of albs to choose from, including designs made by brands like R.J. Toomey and Slabbinck. 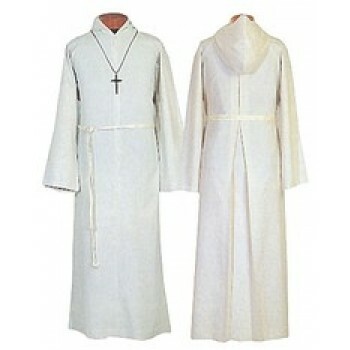 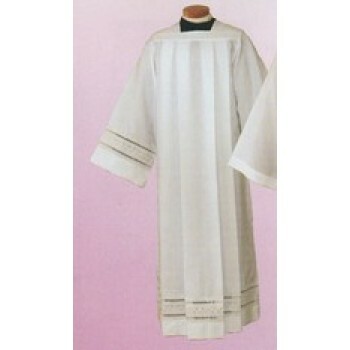 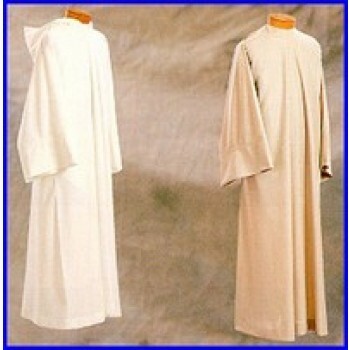 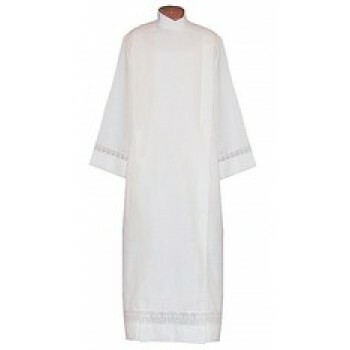 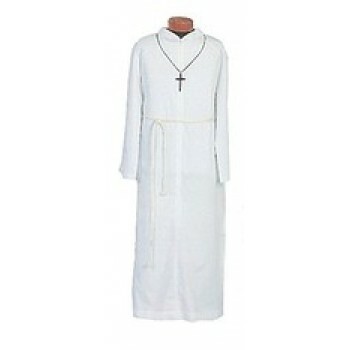 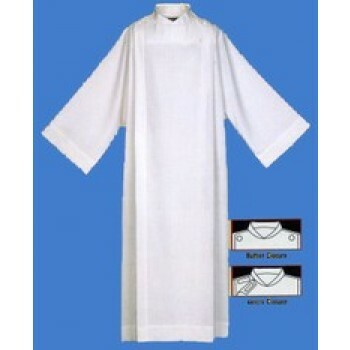 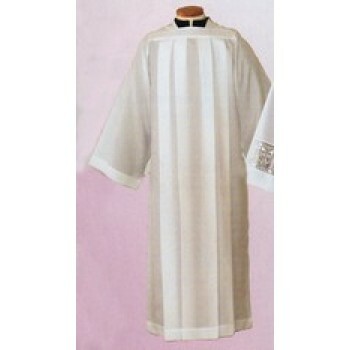 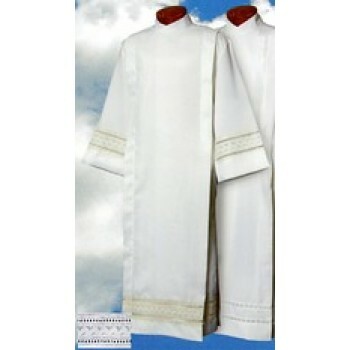 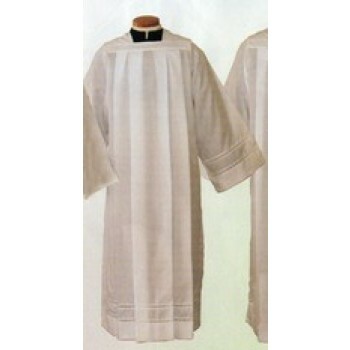 Our clergy albs for sale range in price and design, ensuring that you'll find an alb for your budget and your style. 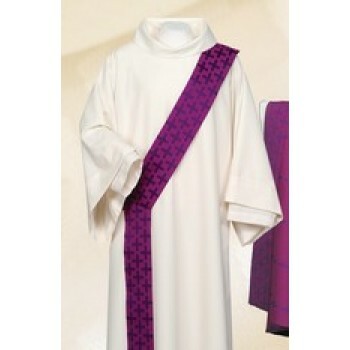 For questions or help ordering, please contact us at 1-617-971-9800 during our normal business hours.